Using the app is a fun and exciting way to help you learn your times tables and the inverse. Complete the sign up form below to begin your FREE trial or to purchase the paper-based resources. Please note, unfortunately, we are unable to make the paper based resources available on a free trial basis. However, to request scheme content and sample pages, please contact us. What is your school's full address? What is the greatest number of staff members who will require access? What is the greatest number of staff members who will require access to the PDF resources? 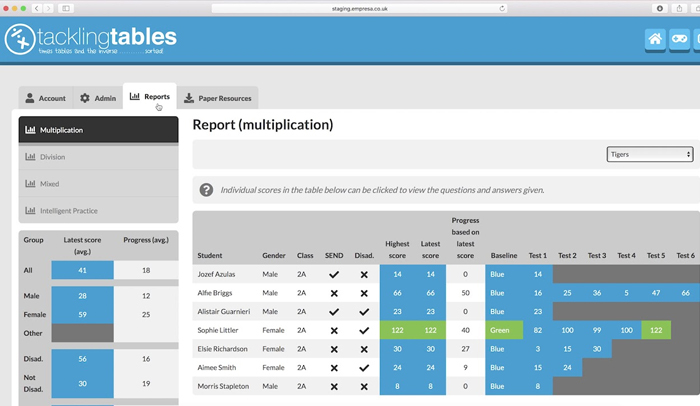 What is the greatest number of students who will use the app? What is included in the initial cost?